These two ADORABLE twin baby boys are new additions to the Sarah Jane Team. But they are unfortuneatly the reason that we will be giving Ann, my studio manager of 3 years, some time away from the Studio for the near future. Many of you have emailed Ann, or worked with Ann. She has been my right hand! She has taken care of all my customer service, wholesale accounts, emails, printing and shipping, sponsors and so much more!! She's basically managed the studio to the point where I don't have to even think about things like keeping up inventory and keeping the books....something I learned very early on that I needed to delegate or I'd never draw again! But after Ann's very high risk pregnancy (she was on strict bedrest in the hospital for 5 weeks! I can't even imagine!!) she delivered two adorable baby boys 10 weeks early and is needed at home so she can care for them 24/7. Darren and Jason were each a healthy 4 + pounds, and Mommy and Babies are doing well. I'm going to miss Ann so much! Running a business takes such a team effort, and I've been so blessed to have her. 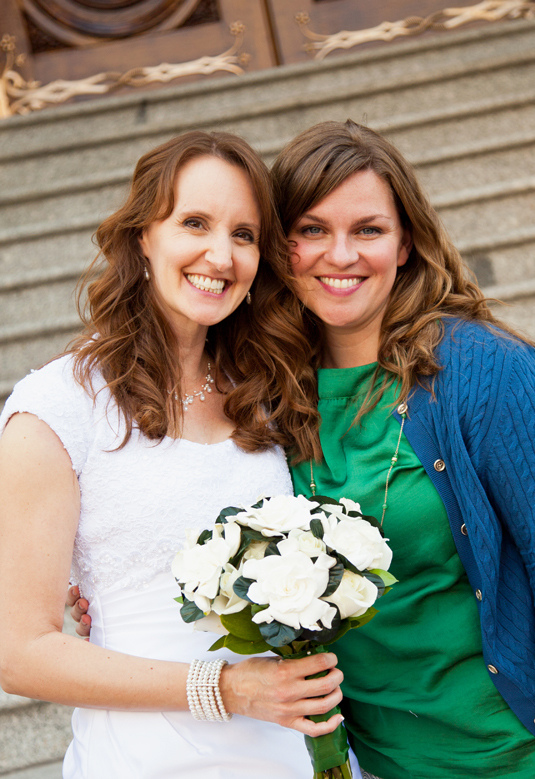 Emily was my first graduate, then Ann, and now you'll be getting to know Allie. Allie just graduated from BYU here in Utah, and will be taking over for Ann! I can't wait for you to "meet" her. 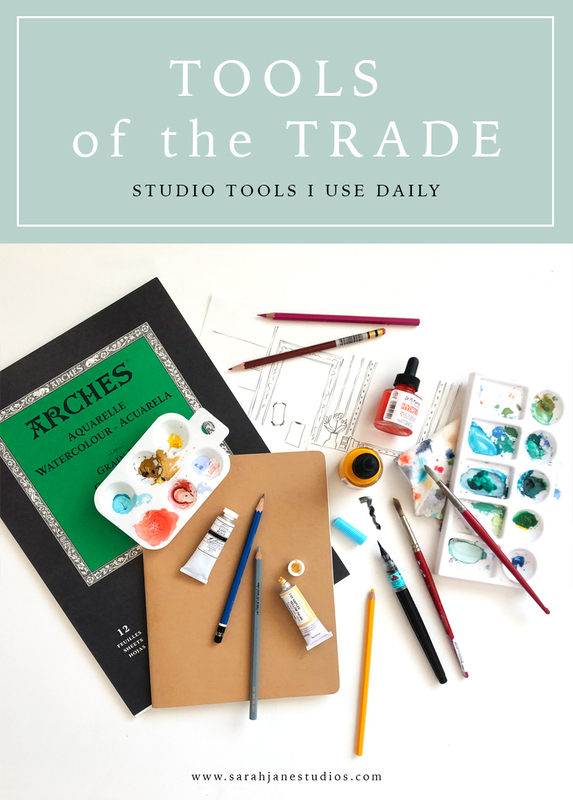 She'll be the one you'll talk with if you ever have a question about your order, sponsoring here on the blog, or any other question about the Studio. She's also going to be running the printing and shipping which is now back in our home studio! We've spent the past week setting up shop and it's been tons of fun (mostly because Allie is tons of fun!) and she's also the one to play with the Ella and Anders when I need to throw in some studio time in the day. Go Team! The studio was out of house for the past 3+ years, and this will be the first time it's been in my home for a while. I'm excited to be close to the shop again! So, Thank you Ann for all you've done! And say "hello" to Allie! I'm really excited to see the new changes here at Sarah Jane! I wouldn't be here without an amazing team! 2014 Wall Calendar on sale! And so is a new wall calendar. This calendar celebrates the wanderer within...and compliments my new Wee Wander fabric shipping out this month! Measuring 11x17 it's perfect to hang on the wall all year as a lovely art piece. Now 25% off until they are gone! Well, if you've been checking my Instagram, the cats out of the bag! 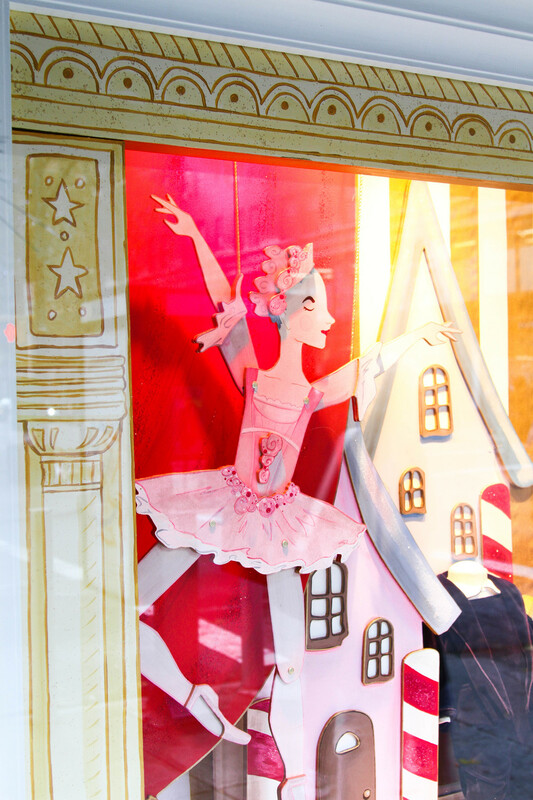 This holiday season, the Ralph Lauren Flagship store on Madison Avenue in NYC as well as the flagship stores in London, Chicago, Hong Kong and 10 other stores across Asia are featuring my Nutcracker puppet theater illustrations as their holiday window display this Christmas Season! 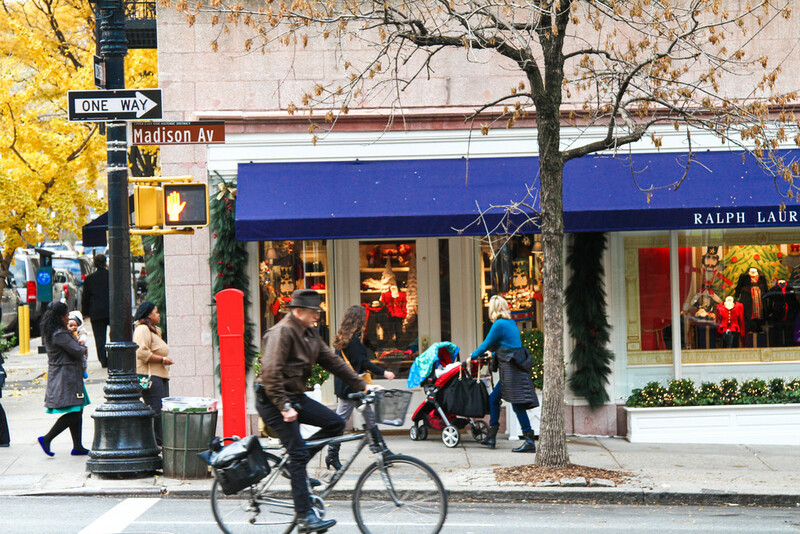 The flagship store of Ralph Lauren at 72nd and Madison is literally both sides of an entire block. It's pretty spectacular. The buildings are breathtaking, and have a history all on their own. The detail inside and out is just exquisite. The Men's store is on one side, and Women's and Children's on the other...and each has their own themed window displays. Each of the 7 windows were decorated with my illustrations....here's a tour of the displays! On the front corner was a winder candy scene with the Sugar Plum Fairy and a dancer from Waltz of the snowflakes. And of course, Nutcracker and Mouse King. I love how they used the stage border on all the windows...it went so well with the architecture and feel of the whole setting. The Mother Ginger window was my favorite. It's hard to see the details here, but she has little dancing children underneath her. 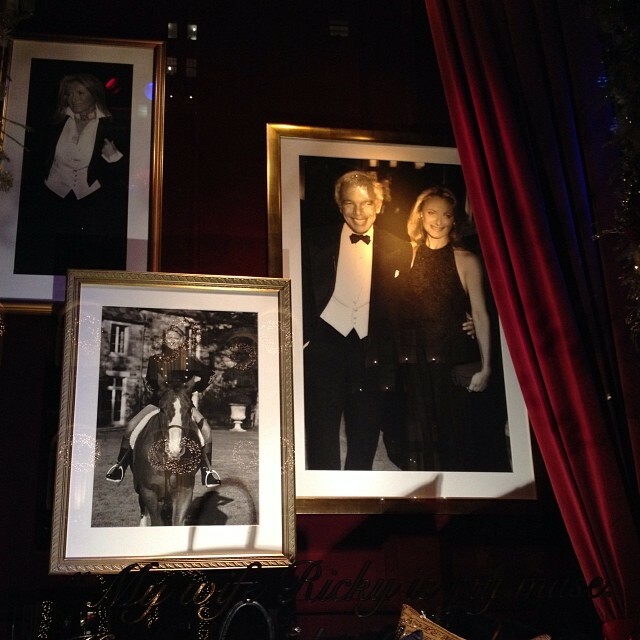 In the corner windows by both doorways, there were lovely framed prints of the Nutcracker Characters. So Magical! And every window featured my website and name, which was such an honor. It was so lovely to be part of their celebration this year! The windows turned out so lovely. I just got goosebumps! 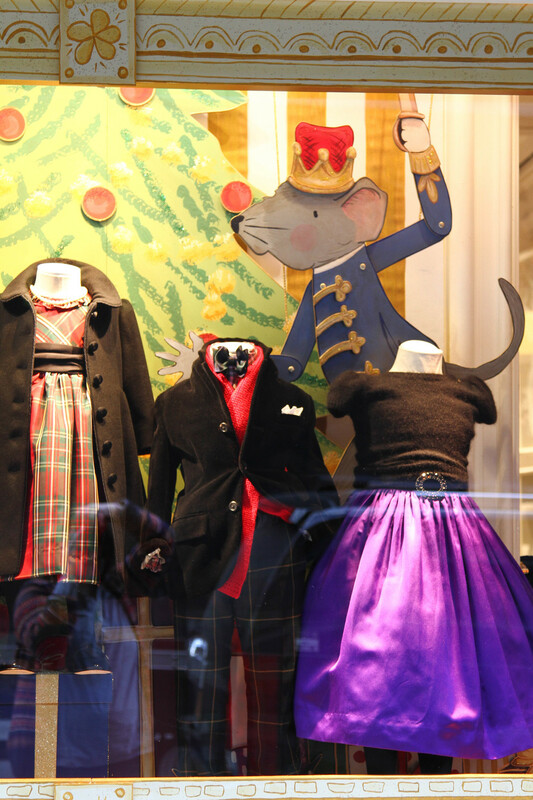 How crazy to see something you made at home with your kids on a wintery saturday turn into a window display to be seen all over the world in such a magical setting! Just so cool. So, forgive me, but I took lots of photos! Here's a photo dump. Hope you don't mind! Christmas Window displays are a big deal...especially in New York City where people take city tours just to see the yearly displays. 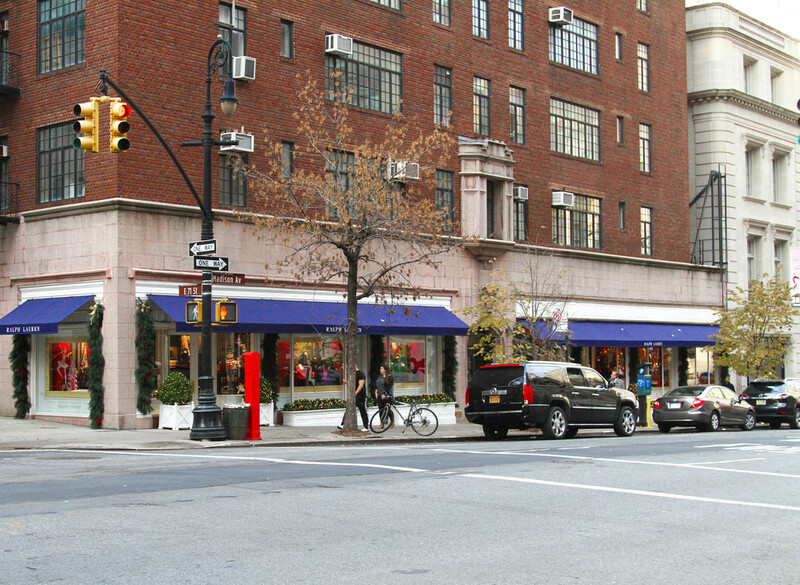 So when I was asked to be part of a 5 window display with Ralph Lauren, my jaw hit the floor, and I admit to re-reading the email a few times just to make sure. Ralph himself toured the windows and sent his approval. And while I was taking pictures, some of the Kardashian Klan popped into the children's store (most likely for Baby North!). 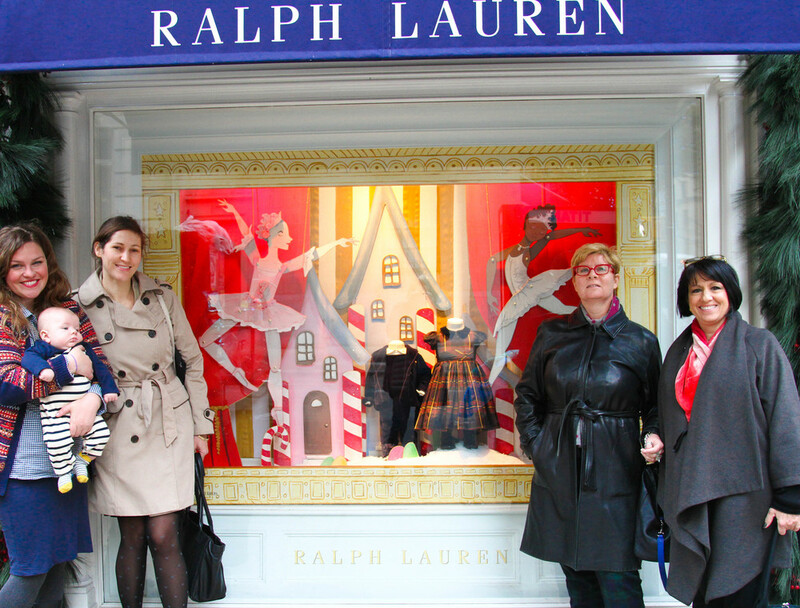 Thank you Ralph Lauren for letting me in on the Holiday fun! And if you are in NYC this Christmas, or London, Chicago, Hong Kong, Beijing or Shanghai, do stop by and take your pictures...and send them to me via facebook, instagram or email! I wasn't able to get pictures with my own kids (sigh) but I look forward to seeing yours! I'd love to post any and all of you there at the display! Happy Holidays everyone!! And enjoy making your own Nutcracker little displays :) We are unpacking ours and using them as Tree Decorations this year. Have fun!! I haven't talked about books much lately. And I should. Because I LOVE making books. But I've been in between projects (does having a baby sound like a good excuse?) and I'm glad to be talking about them more. This week, I signed on with an agent, and I'm so excited! Up until this point, I've been managing my book jobs on my own, which is actually really challenging to do for many reasons. But I enjoyed it, and I liked being on my own. But I'm really wanting to put more effort into book illustration, and I'm proud to say that I'll be represented by Emily van Beek at Folio, Jr. Some of her illustrators are my top favorites in the industry, so I'm super honored to be there. 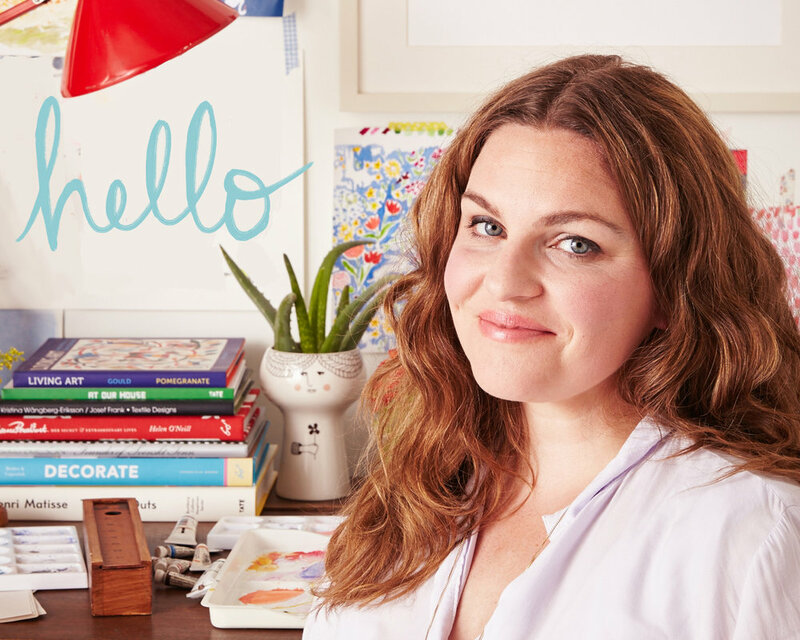 If you aren't familiar with artists like Genevieve Godbout , Christopher Denise, Abigail Halpin , Julie Morstad and Erin E. Stead than click on over and have some eye candy. And with that news, I'm linking you to my Christmas book, A CHRISTMAS GOODNIGHT. Every Christmas it gets an anniversary! And this holiday season it will be it's third Christmas. I'm hoping you are loving it as much as we do here at home. And this spring, I have a companion book to my FRENCH KIDS EAT EVERYTHING book, called GETTING TO YUM (April 2014). If FRENCH KIDS was the essay and the story behind the method, GETTING TO YUM is the method of ridding yourself of picky eaters in the house. It's brilliant folks. And I can swear by it. More on that topic later. But it's available for pre-order here! I hope to be talking Children's Books here more. I have a great passion for reading to and with children. 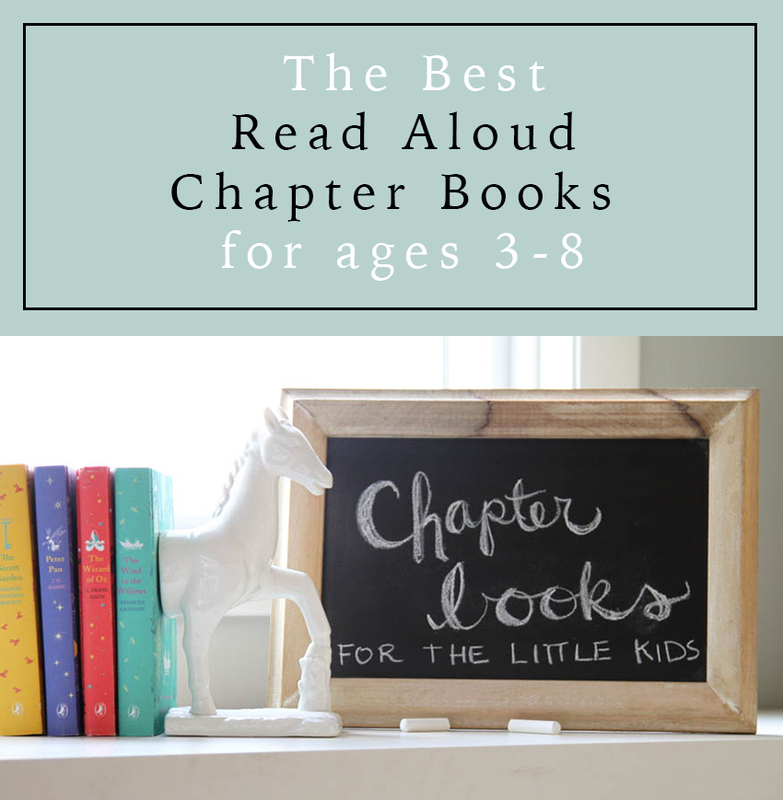 This list (Chapter Books for the Younger Kids) is one of the most viewed pages in my entire blog! The book world is changing dramatically because of this ever growing technology age, but I know that you are all the types of parents and grandparents that are buying books for your kids this holiday season. And taking them to libraries. And reading bed time stories every night. So plan on hearing more book talk from me. It's one of my favorite things to talk about! The maternity leave that I took 5 weeks before baby and 3 weeks after has been an incredible break. It wasn't exactly planned, so I'm throwing myself back into deadlines and projects that were left very unfinished. Good news is, I'm back. And it feels good. But I had a whole day planned, and instead we ended up sewing together....her way! Addie has been begging me to show her how to use the sewing machine so she could learn to make her own doll, and I've put it off (like every other project) because of my laid up pregnancy situation. And it had been way over due for so long, we tackled it right then and there. She had drawn up a pattern (which I politely mentioned might not really look like she wanted it to in the final stages) but she insisted! A good lesson in pattern making, I thought. Ginormous arms? Hmmm. Slanted head? We'd make it work. And after a few minor and major surgeries (the white thread over-correcting some things can't be seen via an iphone picture, but you get the idea) we had a doll! She's so proud. And I am too. I'm so lucky I get to share my studio with little awesome people. Sometimes I overlook how important it is for me to stop and do projects that my kids direct. I have so many projects going on all the time, that often my projects get labeled as "more important." The trick is in doing both. And that's the studio space that feels just right. Mystery Boxes are coming again! Remember when I sold a whole lot of boxes filled with random fat quarters, scraps and goodies from my studio? And they sold out in like 5 minutes? And lots of you were bummed? Well, I've been cleaning out my studio, making room for 36 more bolts of LET'S PRETEND fabric, and Now I have about 60 boxes filled with more goods! Yahoo! Let's get this party started! This time, I hope all you who want them, will get them! All fat quarter bundles are coordinated as best as I could so that you can use all 15 for a project if you want! Great for cooler weather setting in! scrapbook paper from Children at Play line, cards, etc. Mystery print that will coordinate well with the goodies in your bag. Protected in a stay flat mailer and ready to frame! So, that's a $100 value for $55 of goodies that I am actually a little sad to part with, but am happy it will go to well deserving homes! Shipping is yet to be determined...but I'm working my best to keep it as low as I can. Just a warning, these sold out in a few minutes last time. I'll have more this time around, so I'm hoping things work out better. Also, a few customers say that by having a login previously to the sale, it helps speed things up. You can login as a guest, but it might take a bit longer. For a time converter, use this website. I'll be posting on Facebook, Instagram and Twitter as it gets closer! I'm so happy to be getting a bit more room in my studio:) They are nearly all packed and ready to go! If you have any questions, please comment below, and I will answer! I'm really looking forward to getting these lovely pillows and quilts into your hands. They have been waiting in my studio for some time and are ready to make new homes. Each one of these pillows, quilts, prints and aprons are one of a kind and sewn with love . These pillows above, for instance, each have vintage trims that I've collected from various places. It's hard to give these up! I'm going to be listing these MONDAY 11am Pacific/2 pm Eastern time in my shop. So be ready! I hope to have more pop-up sales like this in the future, but this is the last of my hand sewn goods that I'll have for a long while! Here are snapshots of what's in store. Feel free to ask any questions in the comments below. So, this is most of what will be available tomorrow. There are about 30 items I'll be selling off, so be sure to check the shop for all the listings! Again, feel free to ask questions here in the comments! Prices will be listed at sale time in the shop, and international shipping is welcome.